01 มิ.ย. 2561 เวลา 10:09 น. Topics in Education Proactive management model of Risk behavior prevention And health promotion among adolescents, A case Study of Petpittayakom School, Muang District, Phetchabun. 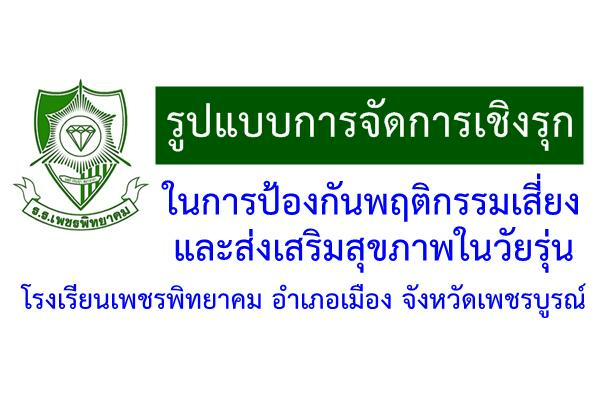 Research Proactive management model of Risk behavior prevention And health promotion among adolescents, A case Study of Petpittayakom School, Muang District,Phetchabun.The training model was evaluated by 4-way evaluation. Behavioral learning and outcomes. The control group was male. The parents are divorced. Most live in their own home. The cost level is between 2,100-2,500 baht per month. Assessment of student control Found that the sample Reaction There is a high degree of cooperation. Very good level of learning. Behavioral development is moderate and results in good results. Parental satisfaction assessment revealed that the parents understood in the form of anti-drug problem solving.